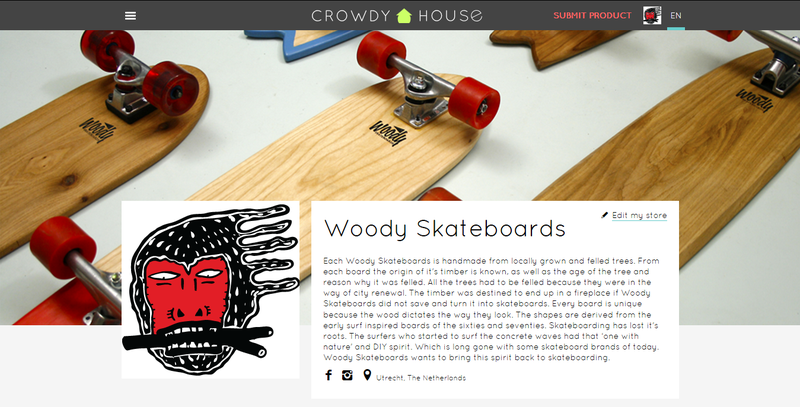 There’s a lot of fancy design stuff on there but Woody Skateboards will be the first in the “Sports equipment” category! I’ve made some professional pictures of my boards so they look extra design-ish. In a short while I’ll launch my Longboards on Cowdyhouse aswell, just waiting for the Dutch weather to change into Gold Coast weahter.